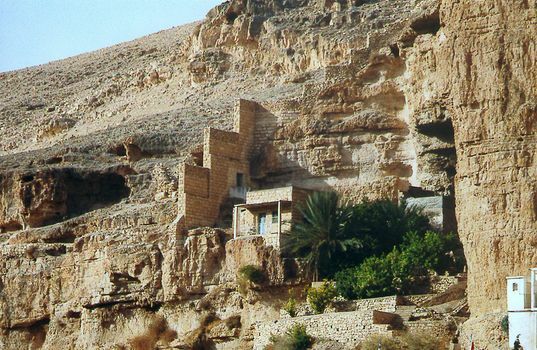 These pictures trace the Wadi Qelt from the Monastery of Saint George down to Jericho and the famous spring there. 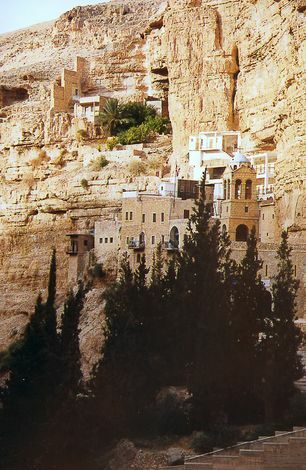 The monastery is a sibling to Mar Saba. 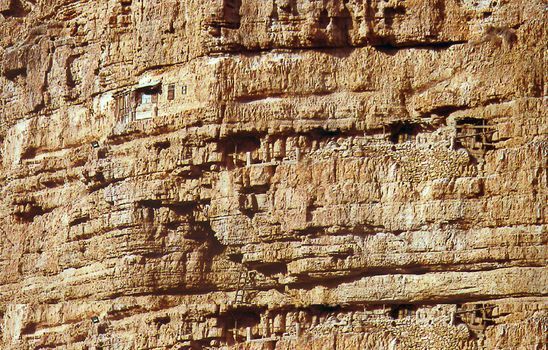 Like Mar Saba, this one has many outliers. 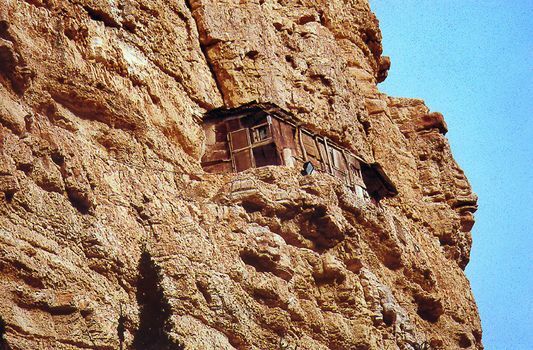 The wall was built to protect against Bedouin. Close-up. 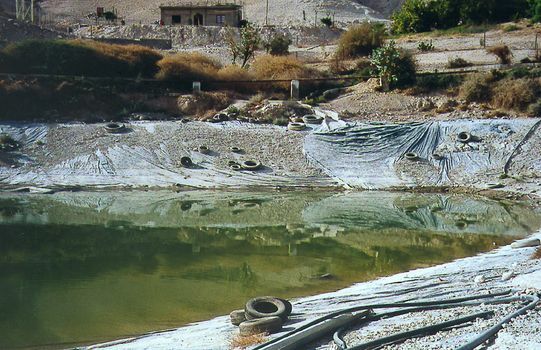 Is the water source a seep, a cistern, or buckets lugged from below? 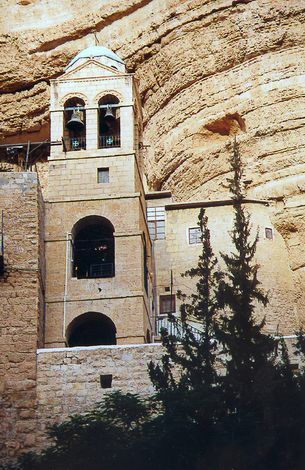 The bell-tower, still in use. Swinging left from the previous picture. 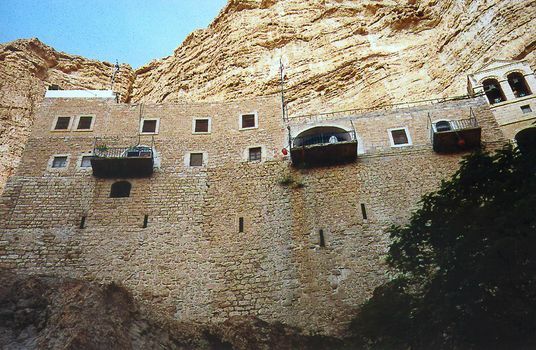 Monastic cells are tucked into crevices along the cliff; some seem almost inaccessible. Membership in these monasteries is way down, and many cells are in ruins. 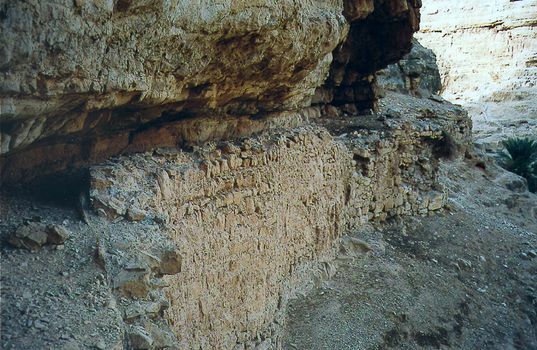 Along the south rim, a massive stone wall supports a water channel built to carry water to Jericho. The same channel, viewed from a more accessible point. 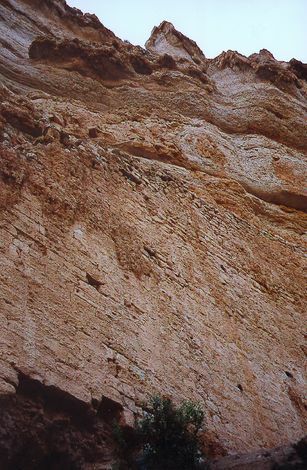 The same channel is at the upper right; another, still in use, is at the lower left. The operating channel in the previous picture appears here at the lower left, where it feeds into the storage pond on the right. 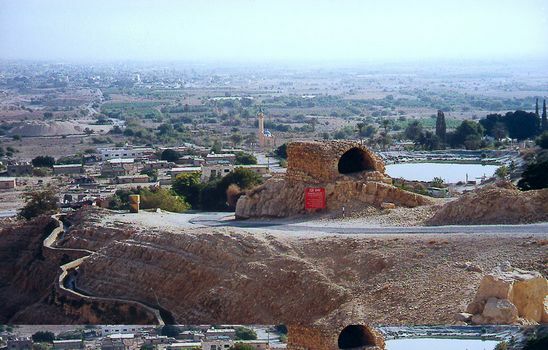 In the distance, the oasis of Jericho. 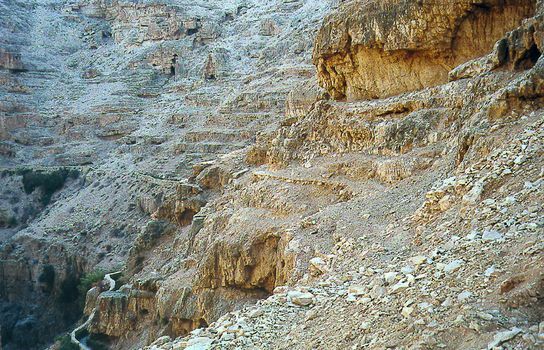 Down near the toe of the alluvial fan shown in the last picture there's a famous but none-too-glamorous spring, Ein Sultan. A pond stores the spring water, but the setup is none too glamorous. 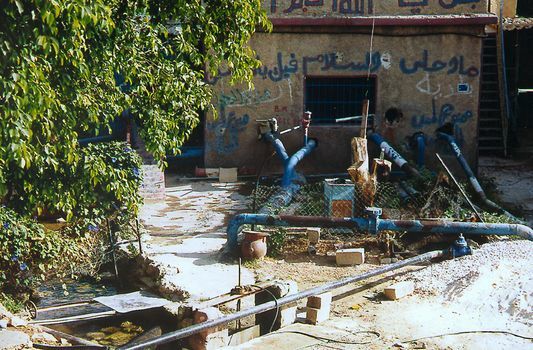 A pump house on the site increases water production. 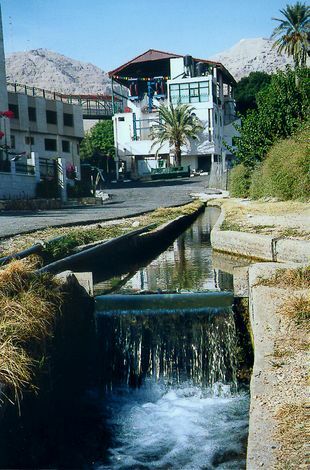 A channel brings water to the local citrus groves. 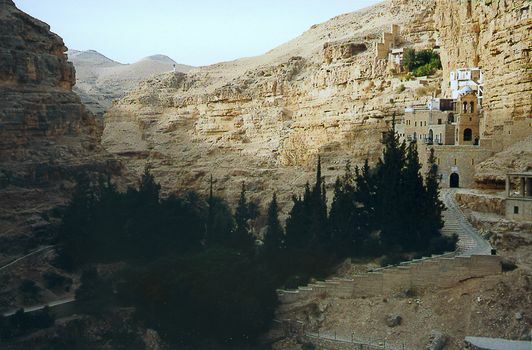 Wadi Qelt is in the mountains in the background.